On election day in the United States, an American mother took to the pages of Marie Claire to share why “Trump’s America” makes her “regret” adopting from China. 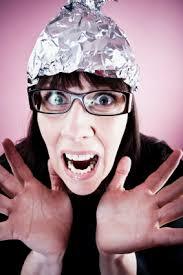 "unfortunately, my worries aren’t exactly tinfoil-hat-wearing paranoia." Not just one child but two, and here in America there are no children for this woman to adopt, or is she more concerned with her talking point adoptions. oh good grief and am sick to death of these whining asswholes. A few ago it was all the rage for celebrities to adopt African children and carry them around like the latest Armani shoulder bag. Now I guess its Chinese children. Last edited by Death-Ninja; 11-08-2018 at 05:55 PM. Liar. The tinfoil clearly shines through the loose-knit pink yarn of her @#$%^-hat. This British-T-Word is very obviously ignorant of China's culture. And if she doesn't stuff her daughters' heads full of victimology crap, they'll do just fine in the US. If worse comes to worse if they can't be software engineers they can always open a nail salon or an Oriental restaurant. Last edited by Dr. Felix Birdbiter; 11-08-2018 at 06:33 PM. Appears there's a wide opening for a, "Virtue Signalers' Hall of Fame." This woman is a high contender for First Prize. Last edited by Morning Star; 11-08-2018 at 06:39 PM. You, whether inadvertently or not, nailed it! Well done.